Design Point Cross. 14K Yellow or White Gold Cross. Measures 24mm x 17.5mm. 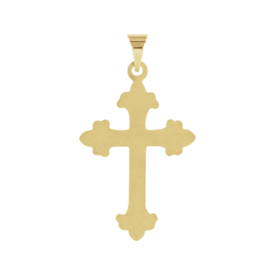 (25mm=1 inch) A stylish cross for anytime. This cross is also available in Platinum. 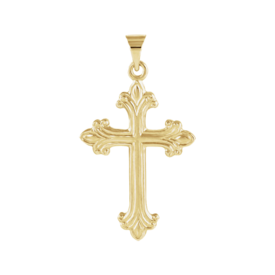 A beautiful symbol of faith to wear everyday.